HALIFAX, October 1, 2018– NOVA LEAP HEALTH CORP. (TSXV: NLH) (“Nova Leap” or “the Company”), a company focused on the home health care industry, has completed the acquisition of the business assets of Comprehensive Home Care (“the Vendor”) located in Deerfield, Massachusetts. The $1.6 million purchase price was paid with $0.61 million in cash, a $0.75 million demand loan from a Canadian Schedule 1 Bank and a $0.24 million promissory note issued to the Vendor. The execution of the definitive agreement and related information pertaining to this acquisition was previously announced on August 20, 2018. All amounts are in United States dollars (“USD”) unless otherwise specified. “We are excited to work with the very talented and compassionate individuals at Comprehensive Home Care”, said Chris Dobbin, President & CEO of Nova Leap. “We will endeavor to support their ongoing work in making home care accessible to the terrific people of Massachusetts”. 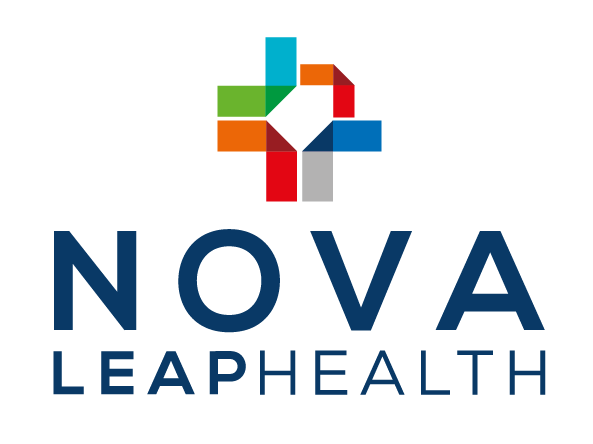 Nova Leap incorporated a subsidiary, Nova Leap Health MA III, Inc., which has acquired the business assets of the Vendor, including customer contracts and intellectual property, and will continue to operate under the name Comprehensive Home Care. The acquisition represents Nova Leap’s sixth investment in New England and third in Massachusetts. Nova Leap now has approximately 550 employees in Vermont, New Hampshire, Rhode Island, Massachusetts and Nova Scotia. The acquisition of the Vendor is expected to be immediately accretive and, when combined with existing Nova Leap subsidiaries, is expected to result in excess of 550,000 forecasted annualized recurring client service hours. Nova Leap’s forecasted annualized recurring revenue run rate is approximately $14 million following the acquisition of the Vendor’s business. Nova Leap’s recurring client service hours are paid primarily by clients, the Department of Veteran Affairs or through long term care insurance plans. The forecasted annualized recurring revenue run rate disclosed in this release is the expected annualized recurring revenue based on the Company’s most recent month’s revenue for current operations multiplied by 12 plus the annual revenue based on the most recent financial information available for Comprehensive Home Care. The Home Care Providers industry is one of the fastest growing healthcare industries in Canada and the United States. Home care saves patients billions of dollars every year by treating them in their own homes instead of in hospitals. An aging population, the prevalence of chronic disease, growing physician acceptance of home care, medical advancements and a movement toward cost-efficient treatment options from public and private payers have all fostered industry growth. Nova Leap is focused on a highly fragmented market of small privately-held companies providing patients one on one care in their homes, facilities or hospice. Nova Leap’s post-acquisition organic growth strategy is to increase annual revenue per location through a combination of increased employee investment, including training, focused sales and marketing efforts, billing rate increases, expansion of geographical coverage, and improved referral sources. Certain information in this press release may contain forward-looking statements, such as statements regarding the Company’s plans for expansion in Nova Scotia, the increase in the Company’s forecasted recurring client service hours and forecasted annualized recurring revenue. This information is based on current expectations and assumptions, including assumptions concerning economic and market conditions, the Company’s ability to integrate its acquired businesses and maintain previously achieved service hour and revenue levels, that are subject to significant risks and uncertainties that are difficult to predict. Actual results might differ materially from results suggested in any forward-looking statements. Risks that could cause results to differ from those stated in the forward-looking statements in this release include regulatory changes affecting the home care industry, unexpected increases in operating costs and competition from other service providers. All forward-looking statements, including any financial outlook or future-oriented financial information, contained in this press release are made as of the date of this release and included for the purpose of providing information about management’s current expectations and plans relating to the future. The Company assumes no obligation to update the forward-looking statements, or to update the reasons why actual results could differ from those reflected in the forward looking-statements unless and until required by securities laws applicable to the Company. Additional information identifying risks and uncertainties is contained in the Company’s filings with the Canadian securities regulators, which filings are available at www.sedar.com.